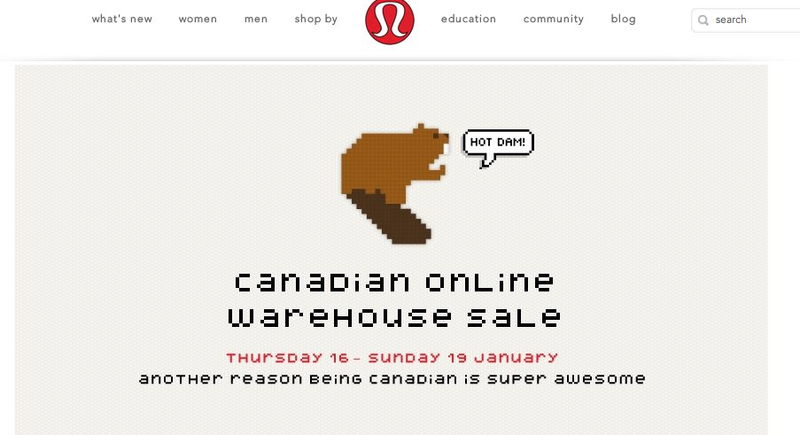 The rumors were correct and there is an on-line warehouse sale for Canada. I can't see the site but I've seen screen caps. This link should get you there. 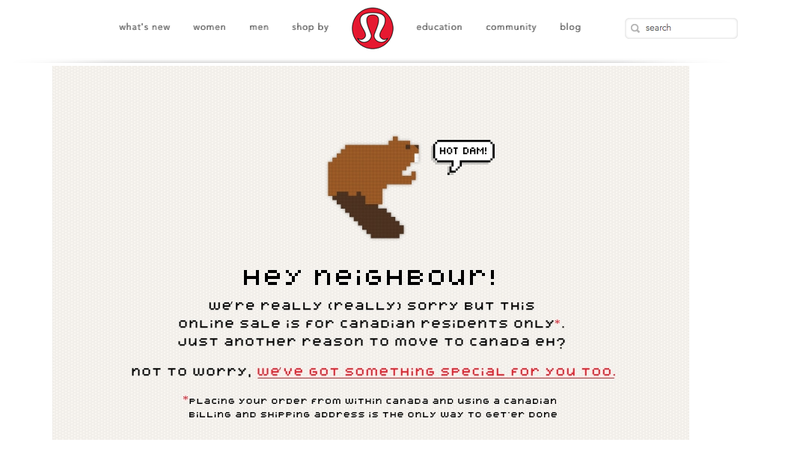 I just read a great quote on one of the boards: It went something like this - Funny lululemon can't get their heads out of their asses on normal upload nights but they can make sure Americans can't get into the Canadian warehouse sale. American and other non-Canadians, if you want to see the sale, do this - Thanks to Ms. C. for the workaround.